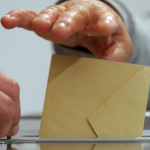 The second round of the regional elections was held in France on Sunday 13 December, exactly one month after the horrific terrorist attacks committed in Paris. Regional councils are primarily responsible for the economic development of their areas, the management of European funds, the organisation of regional transport, professional training, high schools, culture and sports. Last weekend's elections were the first to take place since the reorganisation of regions carried out by the government last year. Voter turn out reached 58.53%, against 49% for the first round. The FN was in pole position in six regions after the first round, but lost everywhere in the end. 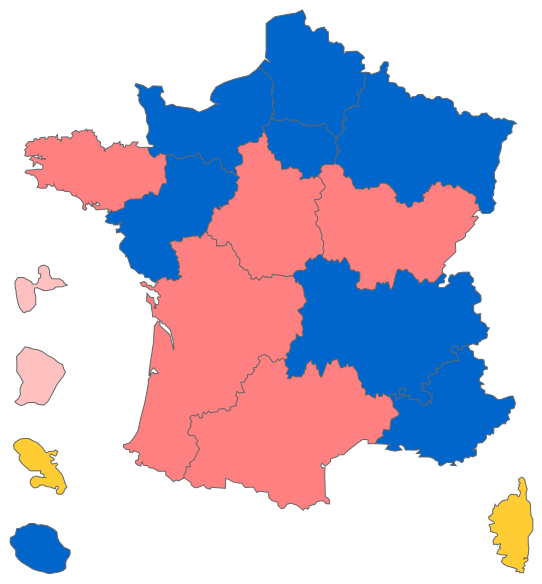 Marine Le Pen lost in the North to Xavier Bertrand (Les Républicains), and her niece Marion Maréchal-Le Pen lost in Provence-Alpes-Côte d'Azur (PACA) to Christian Estrosi (Les Républicains). The FN won 28% of votes (6.82 millions votes) at the national level, which is their best score ever. The FN also seems to have won the media battle. The Republicans (LR) formed an alliance with the UDI (the Union of Democrats and Independents) and the MoDem (the Democratic Movement) between the first and the second rounds. The results did not show the "blue wave" hoped for by Nicolas Sarkozy, president of LR. Centre-Val de Loire (François Bonneau, 35%). The PS lost Ile-de-France, one of its strong historical bastions and the most populated region, to LR. 18 months before the next presidential elections, this may be an important defeat. Nationalists recorded a historical victory in Corsica, where Gilles Simeoni got more than 35% of votes. In Reunion, Didier Robert (LR) won with 53% of votes. Rodolphe Alexandre (miscellaneous left) won in Guyana with 55% of votes. In Guadeloupe, Ary Chalus (miscellaneous left) won with 53% of votes. Alfred Marie-Jeanne (independant) won in Martinique with 54% of votes.